I hope that you’re having a wonderful Monday and had a great weekend! I wanted to share some photos from my past with you and share what I’ve been working on! 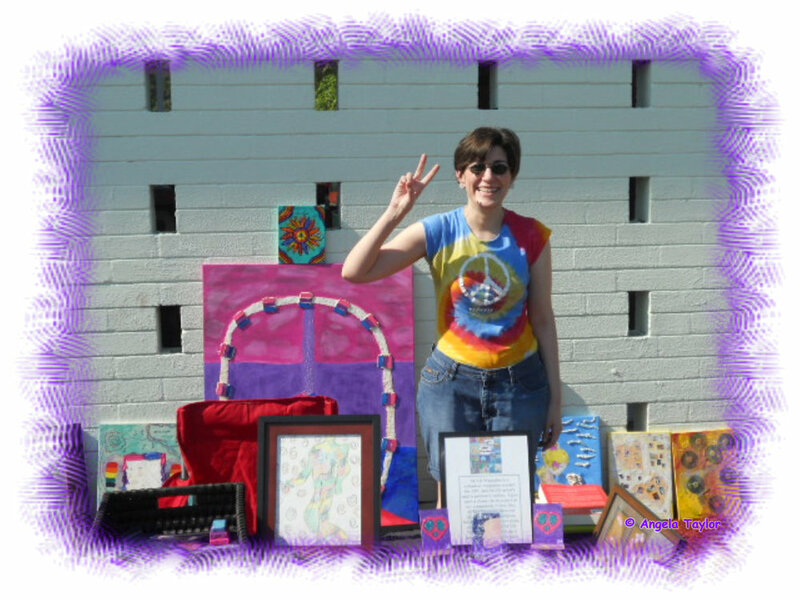 The first is a picture from when I was in a market in 2012! 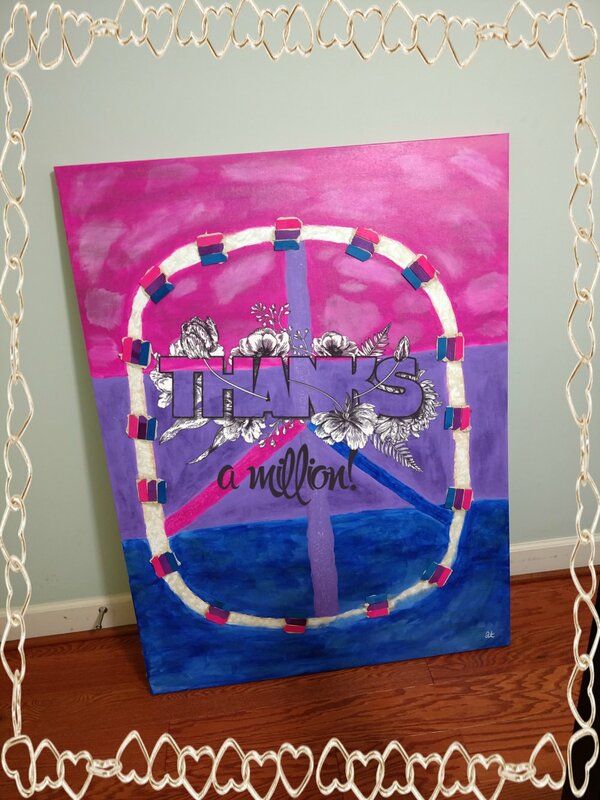 As seen here, I have my painting in bi-colours to create bi-sexual awareness! I recently fixed this painting as it got damaged after having been with me in many markets. I used this painting titled “Paved Peace” to create a digital work thanking anyone who has ever been kind and supportive of my art or the arts in anyway! If you look closely you will see I used the small pieces of wood that came with my stretchers in it. I made them different colours. When I make a new handmade canvas, I intend on sharing the process with you for those who it may help. Be proud of who you are people! Wear your true colours with pride! I also wanted to share what I have been up to with you all! As many of you most likely know I have been working on updating my studio! I'm still working on my studio and made this to show it to you! Ellen DeGeneres's working with the amazing Portia De Rossi to save gorillas! I'm working on my table and will be posting more of it in the future! To see more keep a eye here on my blog!